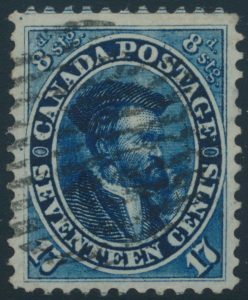 Lot 58 Canada #19 1859 17c blue Cartier, used with grid cancel and exceptionally large margins all around (well clear of frameline on each side, and showing part of the adjoining stamp at top), a lovely and extremely fine stamp. 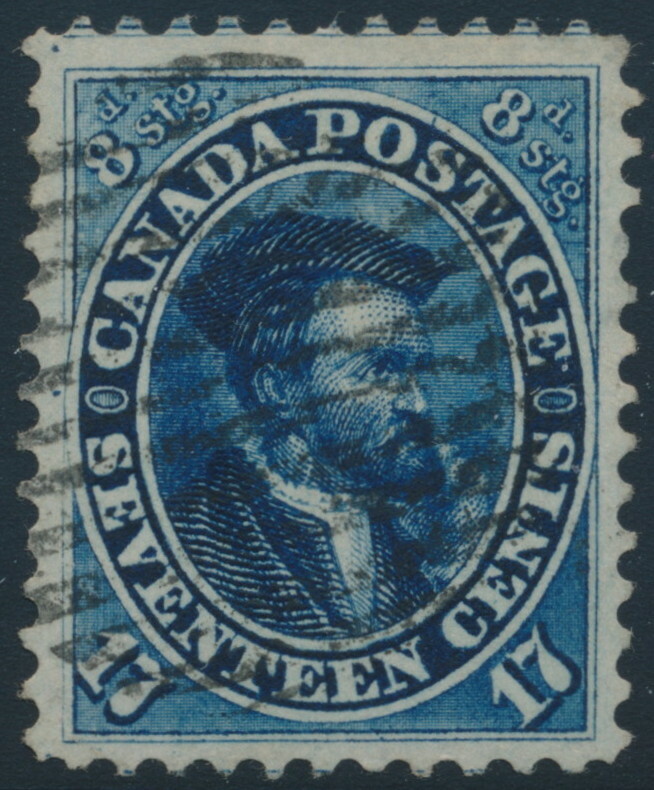 A great stamp for the connoisseur. Unitrade CV$300, sold for C$425.00 plus 15% buyer’s premium.